Thanks to unique technology and packaging, ILE DE FRANCE® cheeses retain all their taste and freshness after ripening: always fresh and ready to eat! 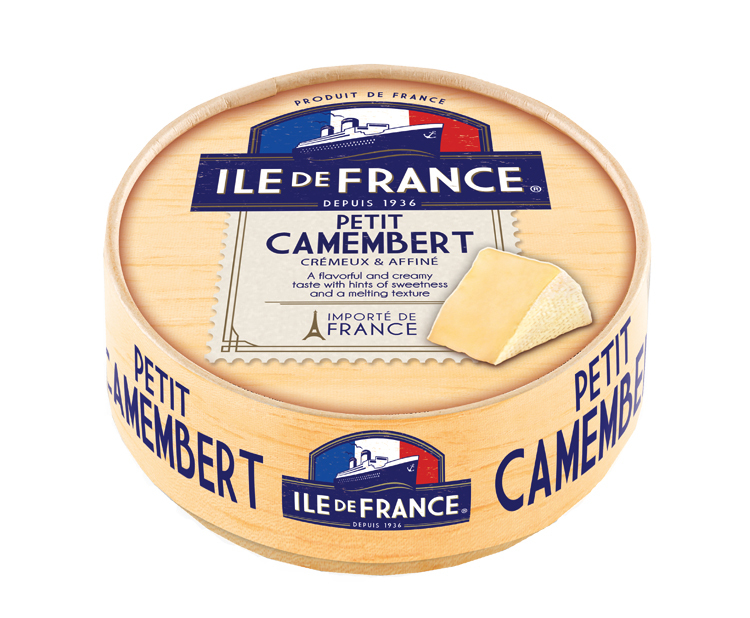 Beneath its ivory-coloured rind, ILE DE FRANCE® Petit Camembert reveals its intense flavor and smoothness. Its greatest strength: highly flexible logistics offer a solution for optimising rotation.